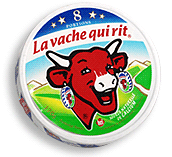 Our French exchange student, Elodie, came back to visit us in Georgia as well, and she was so excited to find out that we have La Vache Qui Rit (The Cow Who Laughs) in the States, too! She made us this sinfully creamy seafood pie that involved Laughing Cow Cheese and creme fraiche. One day, I’ll have to look up the recipe she left us and share it with you all. I was so excited when I found this recipe for Laughing Cow Chicken because using the Laughing Cow Cheese, even in a simple dish, reminds me so much of Elodie! 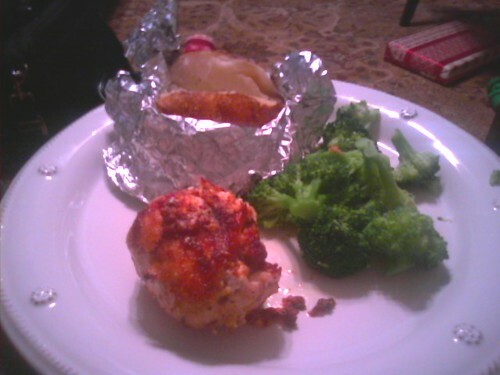 PS: Sorry for the poor photo quality – my camera is still MIA, so these were taken with my cell phone! Preheat oven to 375 degrees. 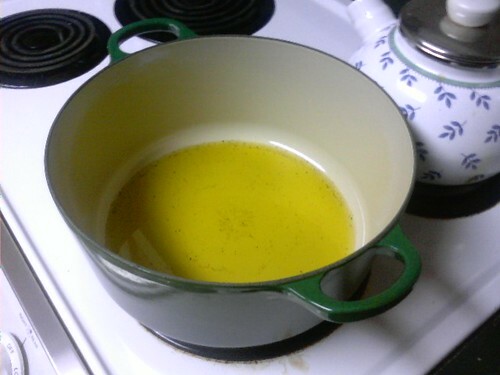 Heat olive oil in a large oven-safe skillet or pot over medium heat and season with salt and pepper. Spread one section of laughing cow cheese on each chicken breast. Sprinkle with Italian seasoning and salt and pepper. Roll up and secure with toothpicks. 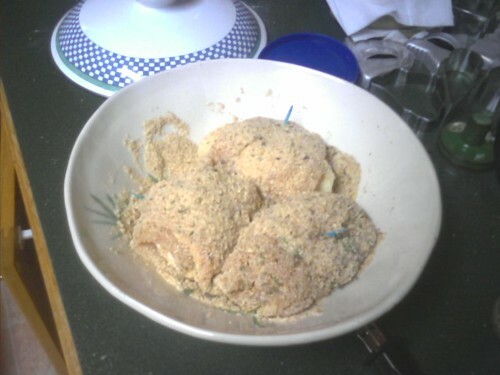 Mix bread crumbs and salt and pepper in a shallow dish. Spray or brush each chicken roll with some olive oil or cooking spray. Dredge the chicken in the breadcrumb mixture. Place the chicken in the hot olive oil. 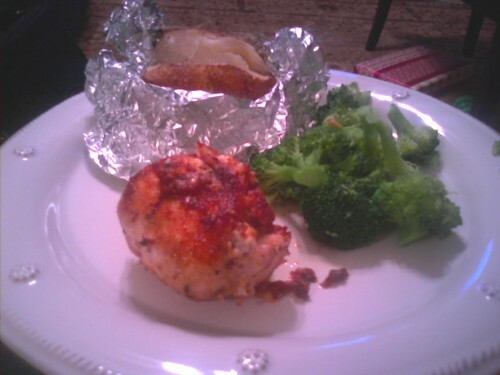 Cook over medium heat for about 2 minutes: chicken should sizzle and brown on the bottom. Turn and brown on the other side for about 2 minutes. Cover and bake in the oven for about 25-30 more minutes until chicken is cooked through (exact time will depend on the size of your chicken pieces). Remove toothpicks and serve with your favorite veggies!